Hon Koigi Wamwere: Under President Uhuru, The War Against CORRUPTION is LOST. â€œWhere there is no vision, the people perish.â€ â€“ Proverbs 29-18. To avoid death, the vision of Kenya must be to develop from third, to first world. To realize the vision of development however, there are obstacles: negative ethnicity and corruption. The vision of developing Kenya from poverty must go hand in hand with the vision of eradicating negative ethnicity and corruption. A house at war with itself cannot stand and an economy perpetually robbed cannot grow. Indeed, elimination of negative ethnicity and eradication of corruption are a prerequisite of developing the country. Just as a robber cannot steal without arming oneself with some weapon, the corrupt arm themselves with leadership, office, influence and power to rob government and country. Just as robbing national resources requires power, checkmating corruption requires greater power, influence and leadership that only president has. Without presidential power, corruption cannot be stopped because people with lesser power than the corrupt cannot stop them from stealing. Corruption is only stopped where presidential or highest power is applied against corruption. In Kenya, the war against corruption is lost already and the people to blame are Presidents Kenyatta, Moi, Kibaki and now Uhuru. We blame old presidents for old corruption and blame President Uhuru for ongoing corruption of the last two years and some graft of the Kanu and Kibaki regimes he was part of and whose rule he approved. Under President Uhuru as under the other presidents, corruption has been all pervasive. Government loses over 337 billions every year. Controller and Auditor General sited CDF and Office of the President for corruption of billions. Kenya Police has been ranked third most corrupt in the world and Kenyan corporate corruption has been ranked number one in the world. Recently President Uhuru was hailed for denouncing land grabbing in Lamu but that has been taken back when CS of Land Ministry Charity Ngilu exonerated old land grabbing because it was government sanctioned. In her view, only ongoing and government unapproved land grabbing should be stopped. President Uhuru should have rebuked this exoneration of corruption but he did not, probably in his own defense. Failure to rebuke defense of corruption was compounded by President Uhuruâ€™s denial of corruption in the Standard Railway project and paying money to a corrupt Anglo Leasing project. The genesis of Uhuruâ€™s weakness in fighting corruption could be connected to President Kenyattaâ€™s regime to which Uhuru is inexorably linked by lineage of blood, economy and politics. Unfortunately for Uhuru, President Kenyatta planted the roots of corruption when he permitted civil servants to engage in business while still in government. When people complained, Kenyatta replied: â€œMy bird hide. 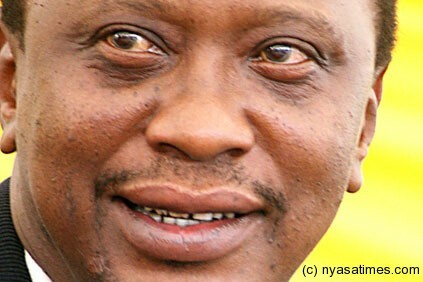 If you are caught, you are not mine.â€ Kenyatta also castigated Bildad Kaggia for not enriching himself as a leader. Apart from Kenyatta lineage, there are other reasons why the war against corruption will not be won by President Uhuru. Verbally, Uhuru condemns corruption but he is a disciple of capitalism that is the mother of corruption. Though he condemns corruption, Uhuru has not combated the evil with the power of example as Presidents General Murtala Mohammed, Thomas Sankara and Julius Nyerere almost decimated corruption in their countries with the power of example. Uhuru has not personally championed the war against corruption by dealing a deathblow to anyone corrupt in his office, government or party. President Uhuru has not stated anywhere that his desired legacy is elimination of corruption or eradication of negative ethnicity. Whether we like it or not, to a large extent President Uhuru will be judged by characters of his personal friends, political comrades, advisors, business companions, defenders and even enemies. If any of Uhuruâ€™s associates are corrupt, he too will look corrupt. Like his father, Uhuru has not banned civil servants from doing business while in government, an activity that can only be corrupt. President Uhuru has not disassociated himself with the notion that the president or governor also owns government, country or county to eat with friends and family members. All people Uhuru has put into government have no reputation of being warriors against corruption. Since corruption is a culture that should be uprooted, Uhuru has not championed the culture of integrity to take its place. Since negative ethnicity and graft are allies, Uhuru cannot fight graft without fighting negative ethnicity which is the bedrock of Kenyan politics. If Uhuru embraces negative ethnicity, he cannot be an enemy of corruption. Since negative ethnicity, corruption and poverty will determine the fate of Kenya, and five years of Uhuru presidency, without fighting graft will be too long a respite for them, President Uhuru must fight graft or openly tell Kenyans they are on their own.